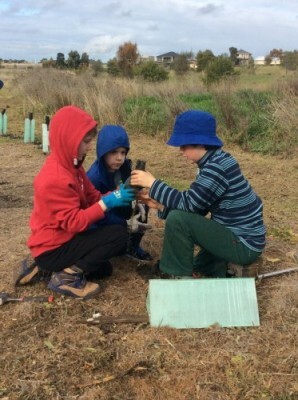 Over 60 people, including some from Greensborough and Dandenong, braved a winter morning to plant 1000 wildflowers, reeds, trees and shrubs along Jones Creek on Saturday 20 June. The planting was part of Brimbank Council's Jones Creek's ongoing restoration. Plants, Plants and... More Plants! 300 reeds for river health and frog/bird habitat. The Common Froglets making a racket in the creek, the swan and white-faced Heron flying were testament to Jones Creek improving health. Brimbank Administrator, Jane Nathan, thanked all of Brimbank's ‘Friends of' groups in helping and caring about the local environment's health. Volunteers and council working together have created a mosaic of habitat – from reeds and rushes along creek edge through to trees and shrubs along wet creek corridor graduating to grasslands further away from creek. Check out Brimbanks’ Environment Event Calendar to get involved and help Brimbank’s natural environment through community action. Apart from the planting, there was the launch of a series of swap cards and a children's book. Many of the children managed to shirk their planting responsibilities when "distracted" by Roberto the Connie who was giving out collector swap cards. 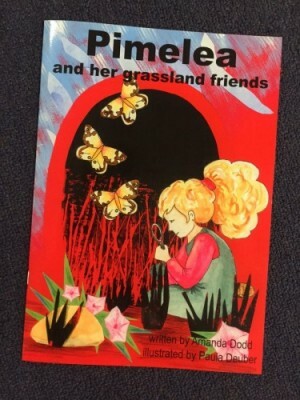 Afert the planting it was off to Iramoo Grassland Education Centre for the launch of Pimelea and her Grassland Friends.